If you want to avoid the aches, pains, coughs and shivers associated with flu, it's time to consider an annual flu shot. A once-off injection in the arm can protect you and your family from three of the most common influenza viruses. 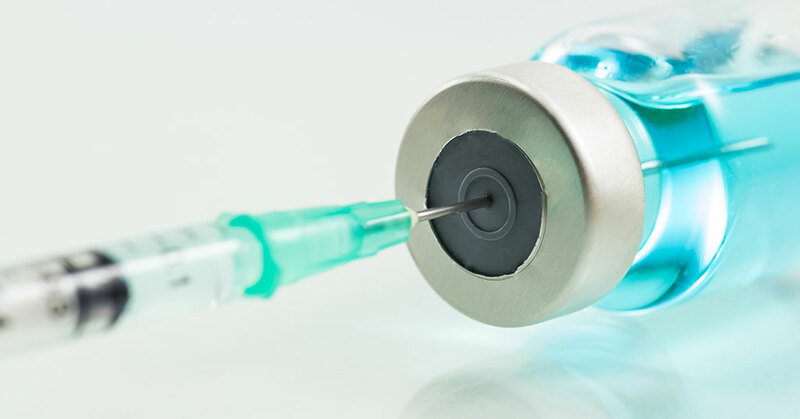 In this article, we consider how the flu shot works, when to get it and the pros and cons. We also investigate whether medical aid schemes in South Africa cover the costs of the vaccination. How does the flu vaccination work? A flu shot is made up of fragments of dead flu virus that, when injected into the body, activate the creation of natural disease-busting antibodies. These built-in "weapons" are pre-primed to attack specific influenza viruses, if and when you're infected. The traditional flu shot in South Africa is a trivalent vaccination developed to protect you against three common flu viruses – H1N1, H3N2 and B. The flu shot: yes or no? Flu can be severe and even life threatening. As many as 6,000 to 11,000 South Africans die from flu, or flu-related illnesses, each year. For this reason, medical experts recommend that everyone has an annual flu shot, provided there are no medical reasons not to. Contrary to popular opinion, the vaccination does not cause flu. It can, however, cause mild flu-like symptoms, and soreness and swelling around the injected area. These side-effects are not serious or long-lasting. On rare occasions, recipients may have trouble breathing, experience a drop in blood pressure or lose the feeling in their feet. If this happens, consult a doctor immediately. From a medical point of view, there is no valid reason not to have the vaccination. In fact, there are high risk individuals who should get vaccinated as a matter of course. someone who suffers from asthma, diabetes, a heart condition or any other chronic illness. Children between the ages of six months and four years should also get vaccinated annually. The best time to have the flu vaccination is from March to June. The shot requires two weeks to take effect, and can protect you for up to 12 weeks. To help ensure that you and your family remain flu-free during the high-risk winter months, it's advisable to get the flu shot as early in the season as possible. Medical aid schemes want fit and healthy beneficiaries. As a result, most schemes in South Africa cover the costs of annual flu shots, either partially or in full. Discovery Health: covers the cost of an annual flu vaccination from the Screening and Preventative benefit for high risk members only - 65 years or older, or registered on the Chronic Illness benefit for one of nine specified conditions; other members can claim from medical savings or the Above Threshold benefit, provided their plan has day-to-day benefits. At IFC, we offer informed, objective advice about South African medical aid schemes and the benefits they offer, and can assist you in joining the scheme that best suits your needs and budget. Contact us for more information or to discuss your needs.